I read that one too. Very informative. Under the terms Walker negotiated, each job at the Mount Pleasant factory is projected to cost the state at least $219,000 in tax breaks and other incentives. Walker should be in jail. The state of Wisconsin would have been better off finding 13,000 unemployed citizens and just given them $200k/year. Or better yet given 26,000 citizens $100k/year. But, you know, socialism. The kicker is, when they signed the deal they knew that WI didn’t even have 13k available employees. And that many of the employees would be commuting from Illinois. Last summer, Foxconn announced a barrage of new projects in Wisconsin — so we went looking for them. The secrecy and vagueness are frustrating to critics. How do you prove that Foxconn won’t build an enormous LCD factory during an industry glut or create a research campus larger than MIT in rural Wisconsin other than by pointing out that experts — and even, occasionally, Foxconn executives — say it makes no sense? Hintz believes Foxconn is trying to slow-walk the project until 2020, continuing to use it to win Trump’s goodwill in the trade war and waiting to see who’s elected. Fascinating article. Thanks for posting it. Just what in hell is Foxconn up to? This article leaves me more confused than when I started reading it. Anyone know what this “AI 8K+5G ecosystem” means? Sounds like Wisconsin’s taxpayers are going to be on the hook for all that money the state spent on infrastructure, since it seems like Foxconn won’t actually be using it. But maybe Wisconsin can lure some other corporations into the area to make use of it. But if not, my god what a monumental waste of money. Edit: Oh man, I see I had not yet read @Woolen_Horde’s linked article yet. I’ve got more reading to do. Edit #2: Reading the Bloomberg article, things are becoming much more clear to me. 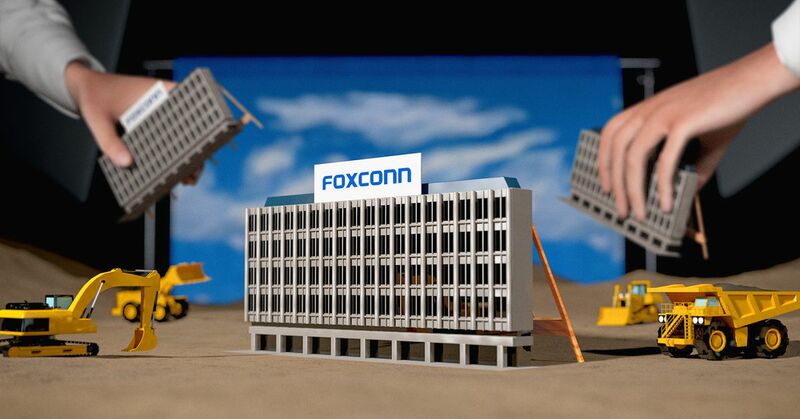 Foxconn has a history of overpromising and underdelivering on major deals. In Brazil in 2011 and India in 2015, it pledged to invest billions of dollars and create tens of thousands of jobs after Gou courted each country’s leaders, but each project fell far short. In 2013, Foxconn said it would invest $30 million and employ as many as 500 people at a Pennsylvania factory that also never fully materialized. Multiple former executives say Gou makes big promises to secure favorable terms and is unsentimental about reneging on or abandoning them as costs dictate. Most likely the supporting hardware manufacture for Machine Learning compute, 8K displays (Sony is really pushing this hard as The Next Big Thing) and 5G cellular modems.